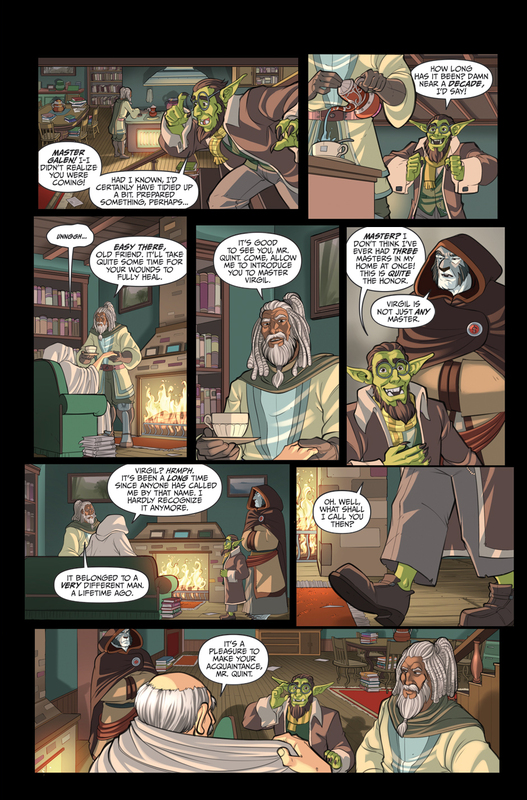 Page 128: Three Masters — Crookshaw Creative | HELM | Read the best webcomics and online digital comics. Also, a random question for readers -- what are you most interested in seeing and learning more about in HELM? I have multiple concepts for future story arcs and rough outlines for several issues/books; however, I'm about a third of the way into writing the script for HELM #7 and tend to leave the page-by-page details off until I begin writing a new chapter. I'd love to get opinions on what readers want more of, so it can help inform some of the details in upcoming pages in #7 and beyond.